Come celebrate the centennial of the Panama Canal’s opening at an affordable price with an all-inclusive, multi-day trip to Panama, its highlights, and the site of canal linking the Atlantic and Pacific Oceans. The Panama Canal was opened in 1913 in an area that had been heavily excavated by the French, who worked from 1876 on to cut through the narrow land bridge that connected North and South America. When the French government abandoned the project, which President Theodore Roosevelt felt was crucial to US trade, he shifted interest from a Nicaragua Canal to a Panama Canal early in his administration. In 1903, Panama was separated from Colombia in a US-backed revolt, thus giving the US government greater control of the Canal they’d invested in. The SS Ancon made the first official ocean-to-ocean transit through the Panama Canal on August 15, 1914. The rest, as they say, is history. Panama Travel Consultants are not only offering this Panama City deal for the summer, but if the family already has made their plans, there is also an option for a winter break getaway. The trip dates offered in 2014 are July 13-20, August 10-17, and if a family wants to travel during the winter, December 14-21. The total cost for the stay is $2,150 per person, and the single supplement is $650. Be prepared to move around by foot and by boat because the eight-day package is filled with travel, meals at various locations, and exposure to cultural activities. The transit tour provides English and Spanish narration of a ride through three sets of Locks. The week’s activities are highlighted in detail on Panama Travel Consultants. After landing in Panama City, your family will by driven to your hotel, which is located near Soberania National Park. The hotel accommodations are included in the offer as well as meals, water, park fees and private group guide services. 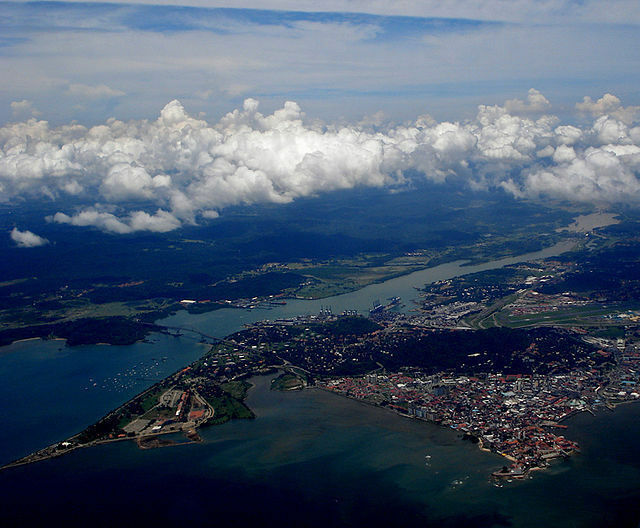 In addition, the fee covers land, air, and boat trips within Panama during your stay. Though the international flight is not included, the offer includes three options for hotels, each with different attractions and activities for the family to choose from. The Radisson Summit Panama hotel is close to the Miraflores Lock, and offers visitors access to a golf course and swimming pool. Another option is the Melia Panama Canal hotel, which is located in the rainforest outside Colon at the entrance of the Panama Canal. With a golf course, swimming pool, tennis and a basketball courts, massage service, and a kids club, the hotel offers activities for the whole family. The hotel is located near Gatun Lake where the family can go biking, fishing, and zip lining. The final option for a hotel is the Country Inn & Suites Amador, also close to the Panama Canal. This selection would place the family near a variety of restaurants, cafes and bike rental shops. Panama Travel Consultants offer a list of recommended items to bring, which includes rain gear. Many of the week’s activities will be outdoors, so bringing a variety of clothing, footgear, and raingear is important for a comfortable stay. For a different, slightly longer trip, Discover Panama is a nine-day way to experience Panama’s centennial with Collette Vacations. This offer runs through April 2015, and prices start at $1,699 per person with 15 meals included. If the family chooses this package, you will be staying at the Gamboa Rainforest Resort in Gamboa for Days 1-4, at Los Mandarinos Hotel in Anton Valley for Days 5-6, and at the JW Marriott Golf Beach Resort by Playa Blanca for Days 7-8, before the tour finishes in Panama City. Discover Panama combines water travel, with a cruise through part of the Panama Canal, and travel on foot. Be prepared to move a lot and walk about 2.5 miles each day. Experience Gamboa with a river view room, balcony and hammock. The rainforest is located right by the hotel, where the family can experience guided tours. You can also meet the indigenous people of Emberá after traveling in a dugout canoe. Anton Valley has the second-largest volcanic crater in the world. While you are there you can also explore the local marketplaces, and the El Nispero Zoo. At Playa Blanca, there’s access to a golf course, spa treatments, and water activities. Upon arrival in Panama City, visit the historic district, the Panama Viejo Visitors’ Center and Cathedral Tower. You will also get to explore the ruins of the oldest Spanish settlement in the Pacific, and Casco Antiguo. The program offers an optional sunset safari in an open-air boat, where it is possible to see tapirs, capybaras, alligators, rare tropical opossums, western night monkeys, and two-toed sloths. This tour can be booked through a travel agent, by calling 800/340-5158, or by visiting Go Collette Tours. Whether the family would like to vacation this summer or winter, on land, in the rain forest, or at sea, come celebrate the hundredth year of the Panama Canal. It only happens once.